This is an outstanding cod fillet recipe which yields a wonderful taste of the sea with the addition of succulent squid and a flavourful fish stock. Stephen Crane's dish is served with a freshly-cooked cod loin and is perfect for a hearty, filling seafood supper. Prepare the squid earlier in the day, then dice and keep chilled until ready to use. 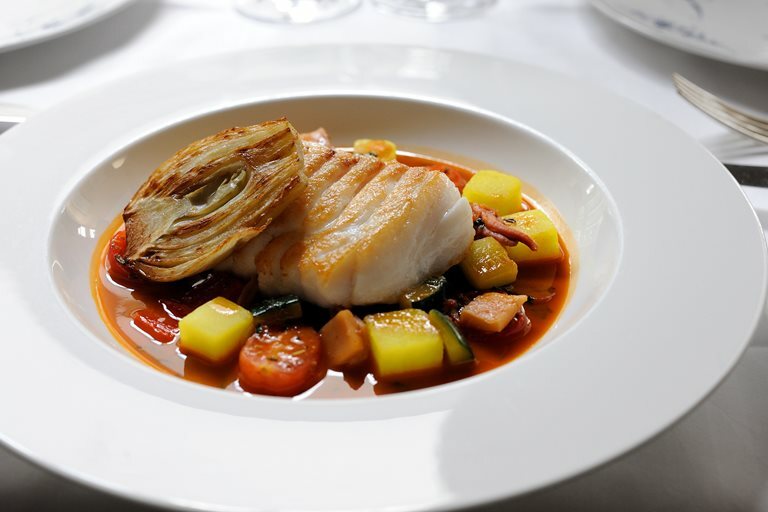 The bouillabaise sauce includes vegetables such as courgette, onion and pepper, which are simmered with the fish bones.